Last Christmas, I made a Sweet Gingerbread Garland to hang in my kitchen window. This year, I thought I would make a fall gingerbread garland, so I can hang it up even earlier! 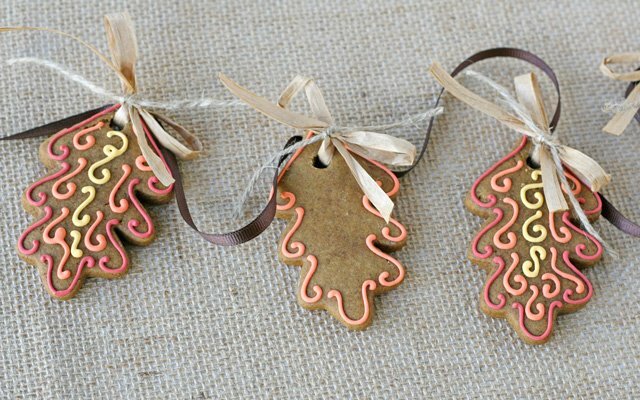 This cookie garland could be hung in front of a window, along a hearth, or used as part of a table centerpiece, trailing down the center of the table. To make the cookies, I used my favorite Gingerbread Cookie Recipe. So, although this is intended for use as a decoration, the cookies are perfectly edible (and quite delicious). Use the recipe to make some cookies for decoration, and some to eat! For the cookies you plan to use for the garland, roll out the dough a bit thinner than you might usually for cookies. This will keep the garland a little lighter, and easier to hang. Also, bake the cookies a minute extra, so they are a bit crisp, and will be more durable. As soon as the cookies come out of the oven, use a straw to make a hole in the top (but not too close to the edge) of the cookie. Once baked and cooled, decorate the cookies with Royal Icing (recipe here). I used an assortment of ribbon, twine and raffia to tie the cookies together, and add to the rustic look. Happy fall baking and decorating! So, so pretty. Love that you turned them into a garland too. Glory – this is a beautiful presentation of the cookies – I love gingerbread cookies! Do you usually end up eating them? I have no idea how I could stand the temptation of cookies being hung right in front of me! wow, it seems so lovely.. so sweet!!! I’n also looking forward for christmas to come! I have to look for new ideas for me tree!!! so cute, I would be eating more than I would be decorating with I bet. I love these! 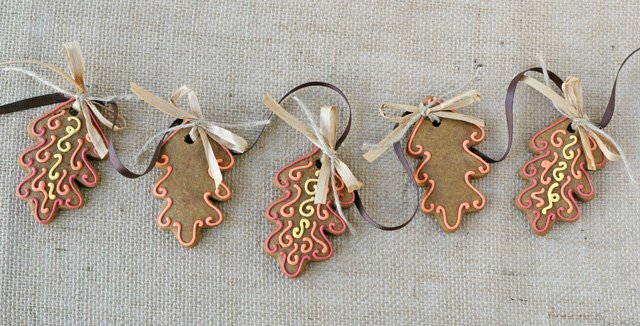 They are so cute and festive – perfect for fall decorating! love the pretty swirls on them! Beautiful! and I bet your kitchen smells fabulous! Just gorgeous, way too pretty to eat and even better to hang! But my kids would bite them right from the twine, really nice job. I can smell the goodness from here! They are beautiful and would be a perfect decoration for my kitchen! They would make the room smell so great but the temptation to eat them would be great. I would have never thought to do this in a fall theme. And the little frosting embellishments are to die for! This is so creative! I love it! Keep up the good work! Beautiful blog! 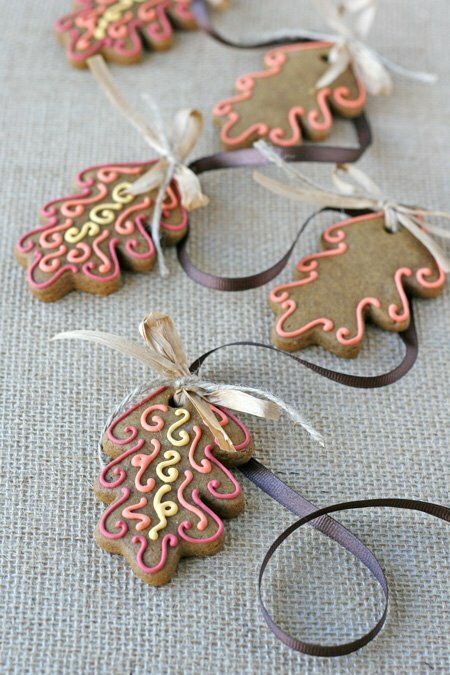 I loved your idea of making an ornament for a christmas tree with biscuits! 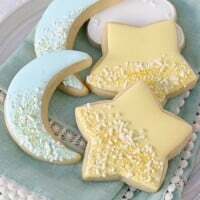 Have always thought that decorating with cookies is so cute. But my two Labradors would have the decorations eaten in no time so that won’t work in my house! These are so beautiful! 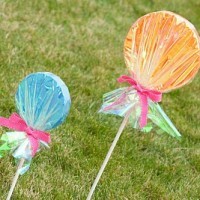 I don’t know whether to decorate with them or sneak them away and gobble them up! Well now! How cute is this!? These look so comforting and warming. The colours you’ve chosen to pipe onto the cookies match so well with the actual cookies. Such a lovely idea. you make this site yourself? Please reply back as I’m looking to create my own site and want to know where you got this from or exactly what the theme is called. Thanks!